« Structural Solar LLC announces it is developing a line of residential solar pergolas that will be attractive, durable and economical for the US Market. 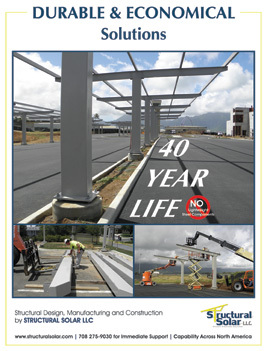 Structural Solar LLC announces it has completed commercial projects with structures spanning more than 100’. 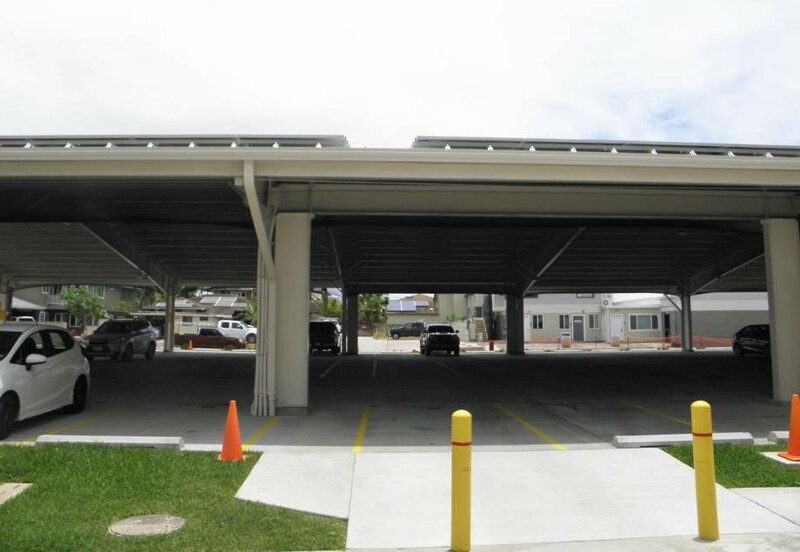 In response to stringent parking requirements where center column lines cannot be constructed, Structural Solar LLC provides structures that can span to over 100’. 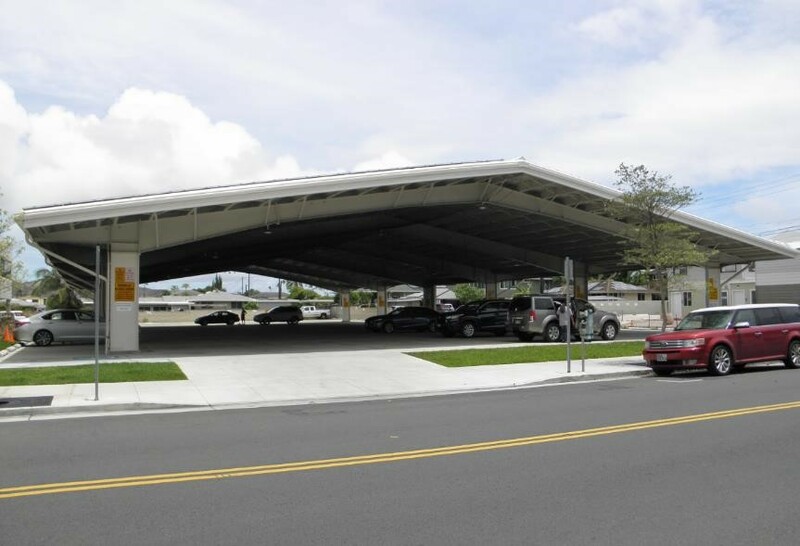 The structures have heavy structural connections and the foundation requirements are significant but it’s a solution for parking in certain areas where there are underground obstructions or unusual site constraints. That’s according to Robert Pegnato, who is the Business Development Officer with Structural Solar. 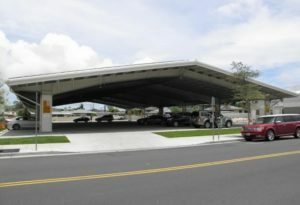 The structures may or may not have metal roofs for water management.